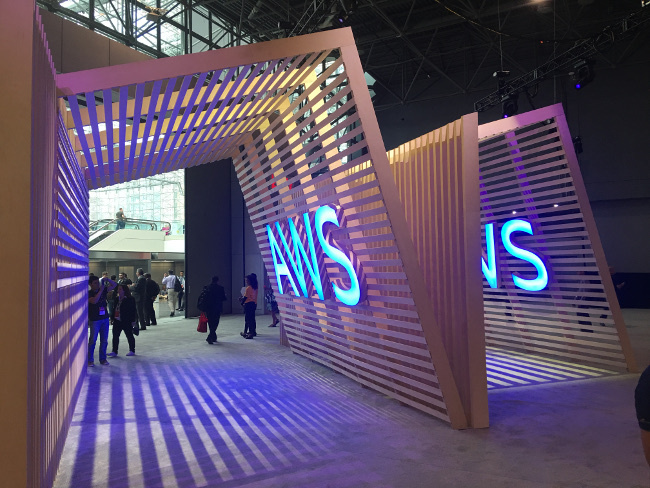 At AWS Summit this week in New York, IOpipe has gone into general availability with version 1.0 of its Lambda monitoring tool now launched and has stepped up to becoming an advanced tier partner with AWS. IOpipe builds on the serverless premise that, while there are still servers, they become less of a worry for application developers. But instead of bringing about a NoOps future with serverless, the need for monitoring and managing performance now rests within a complex application architecture that may be calling on third party services through APIs, making use of internal microservices, and evoking small functions that carry out a specific task. That creates a need for what IOpipe co-founder and Chief Technology Officer Erica Windisch calls “Application Ops.” Windisch — who will be talking on debugging and tracing Lambda applications at the upcoming Serverlessconf in New York on Oct. 8-11 — says one of the ideal ways to use IOpipe is to have a code editor and a window with IOpipe running side by side. “Dev Tools and application tools are converging now. With IOpipe, you can be working in a code editor and add the IOpipe serverless framework plugin or use our decorator in your application. Then you can have IOpipe open in another window and have information fed into that,” she said. IOpipe has been built to provide a suite of monitoring and debugging tools that allow deeper insight into what is happening when each Lambda function of a serverless workflow is called. Windisch said with IOpipe, users have a deeper insight into errors that may occur, their frequency, memory leaks and their durations, and length of time of cold starts, a crucial indicator of the performance of a serverless application. “One common thing that happens is there might be errors in your application when connecting to your storage. You can run alerts for those and with IOpipe, so you have easy access into your stack. You can dive in and see how many invocations are failing because of errors in connections with your database,” said Windisch. It is also possible to use custom metrics in your IOpipe pipeline. Windisch gives the example of setting metrics to the number of records processed by a particular Lambda in Kinesis. In that way, it might become apparent, for example, that any Lambda processing under 500 records work fine but processing starts to fail when more than 500 records are regularly being processed. That gives developers insights the sort of information they need to debug problems faster as they arise. Johnson points to the common use case of image processing, where serverless may be used to take an image from object storage, run additional processing like resizing or ML analysis and then saving the resulting data and resized images to another object storage bucket. “Reaching out to S3, relying on so many third party calls, like Google or Amazon’s image processing algorithms… it does reach a threshold where it becomes a concern because there are so many moving parts. We have just released a tracing plugin so you can trace the performance of those calls, visualize those, track how long those calls are taking in the function, so you can see where the time is spent,” said Johnson. Johnson said without using a monitoring tool like IOpipe, he is seeing some companies diligently collecting everything about their Lambda processes, logging it to a central place, and then trying to view log files by time frame whenever there is an error. But in IOpipe, users can also order functions by projects and view errors and logs just for those projects or by time or by the name of the function. “When we ask devs what their workflow is for development and debugging and pushing to production, it is very much taking several steps backward when using serverless because you are relying on a lot of third party services. So local testing is not an option. A lot of people are writing code and if there is an error they need to write log codes, and they pull up five or six terminals, tracing logs on 5 or 6 functions and then seeing what is happening,” Windisch said. Johnson says the majority of IOpipe customers fall into three categories, reflecting the most mature segments of the serverless market. First are the no stack startups: “These are the 1-2 person start-ups who can build awesome tech using AWS technology and piece together something awesome pretty quickly,” Johnson described. Johnson says after this, he expects to see enterprises move onto using serverless for mobile and web applications. And as that space matures, IOpipe wants to mature alongside them. Already the team have plans to become a full monitoring application stack for serverless. Initially, they started as more a forensics reporting service, able to see what went wrong after the event, but in version 1.0 they are already able to debug serverless applications alongside the coding environment. With new tools like their tracer plugin, they want to be able to add the ability to set performance thresholds on third party calls. Integrating with CI/CD pipelines is also on their roadmap. And perhaps not far behind that is an autonomous environment where not only can threshold alerts be set, but Lambdas can be created to trigger how to respond to those alerts. An autonomous ops future in serverless is on its way.